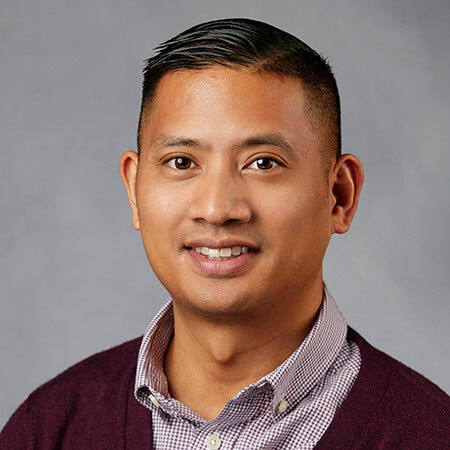 Constancio R. Arnaldo Jr. is an assistant professor in the Department of Interdisciplinary, Gender, and Ethnic Studies. He received his Ph.D. in Anthropology from the University of Illinois, Urbana-Champaign with a concentration in Asian American Studies. As a cultural anthropologist, Dr. Arnaldo’s research includes popular culture, immigration, race and ethnic identity, masculinity, and sexuality. In particular, he examines the colonial and postcolonial experiences of diasporic Filipina/o Americans in sport in their everyday lives and in sporting spectacles. He is co-editor of Asian American Sporting Cultures (New York University Press, 2016). He has also published in Global Asian American Popular Cultures (edited by Shilpa Davé, LeiLani Nishime and Tasha Oren, New York University Press, 2016).